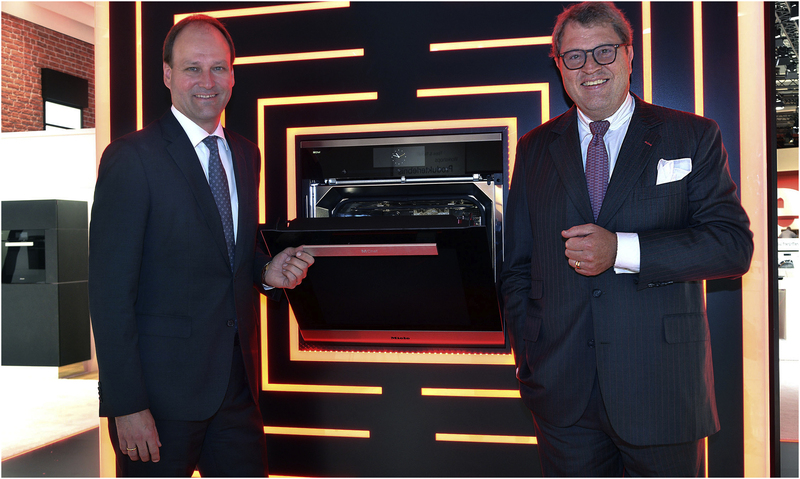 Miele, a global appliance manufacturer known for its innovative, high-quality products, launched a revolutionary new oven, known as the Dialog oven, at IFA 2017 in Berlin this week. The oven was launched publicly at the major trade show for consumer electronics and home appliances, following an exclusive launch event in a smaller private setting. Trading will commence in the European market in April 2018. Read more about the launch in Miele’s press release. 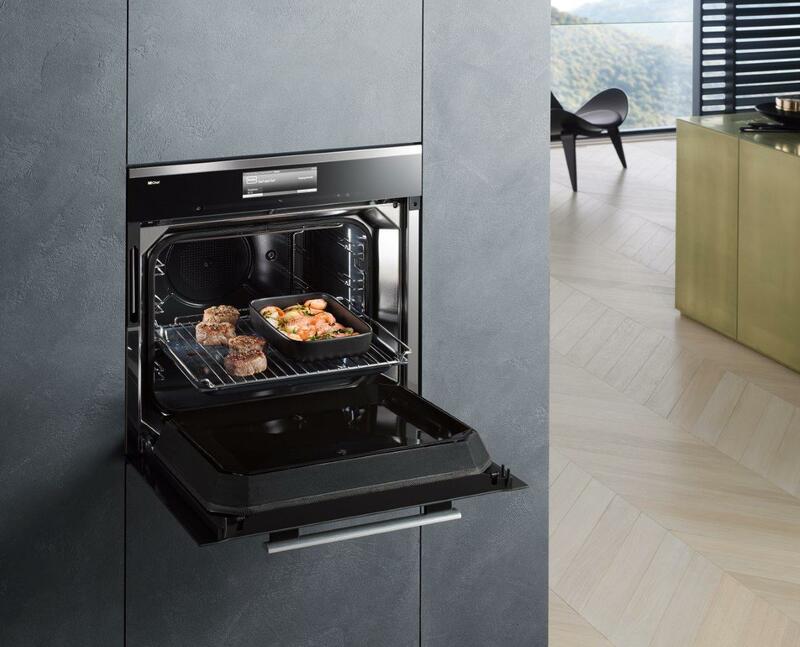 The Dialog oven uses solid-state (or RF) cooking technology, a promising new development which is expected to revolutionize the way we cook at home. This groundbreaking achievement was possible thanks to Miele’s unsurpassed commitment to nurturing and bringing new technologies to the market, and its extensive experience in the research, development and manufacturing of high-quality domestic appliances. To enhance its presence in the RF space, Miele formed a close collaborative partnership with Goji. The two companies worked together to integrate the capabilities of Goji’s RF technology into a high-end built-in oven, designed to fit in a standard wall-oven space. Combining solid-state cooking with convection and other premium features – such as moisture plus, pyrolytic cleaning and touch screen controls – it also has Miele’s iconic modern premium finish. Goji’s technology enables much greater control of the heating process than conventional appliances, improving heating evenness and cooking quality while also shortening the cooking time. 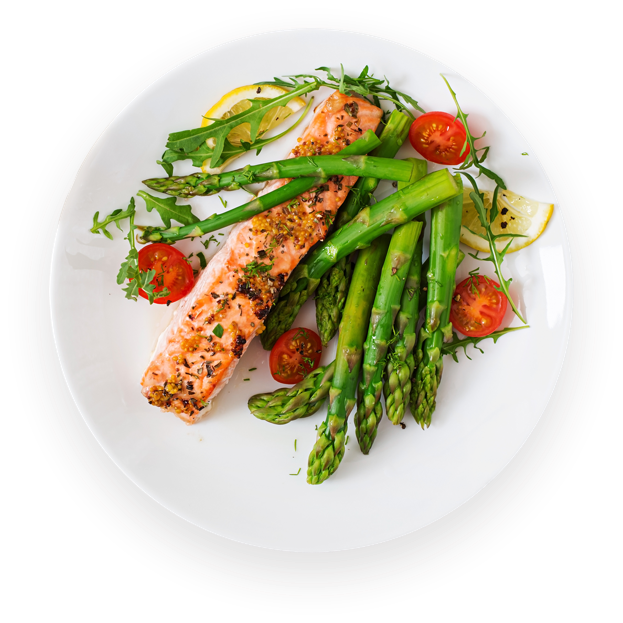 Meat and fish can be cooked to perfection and bread baked to professional standards in a fraction of the time required conventionally; while meals with multiple components – for example, bread, vegetables and meat – can be cooked at a high-quality simultaneously. To showcase the unique features of Goji’s technology, Miele ran multiple astonishing cooking demonstrations, including one where fish was cooked in a block of ice. Journalists from around the world applauded as unique and delicious food was prepared in the new oven. Jenny McGrath of Digital Trends wrote: “Miele's jaw-dropping demos showed the Dialog oven is capable of an entirely new way of cooking that is both faster and easier” (full article). 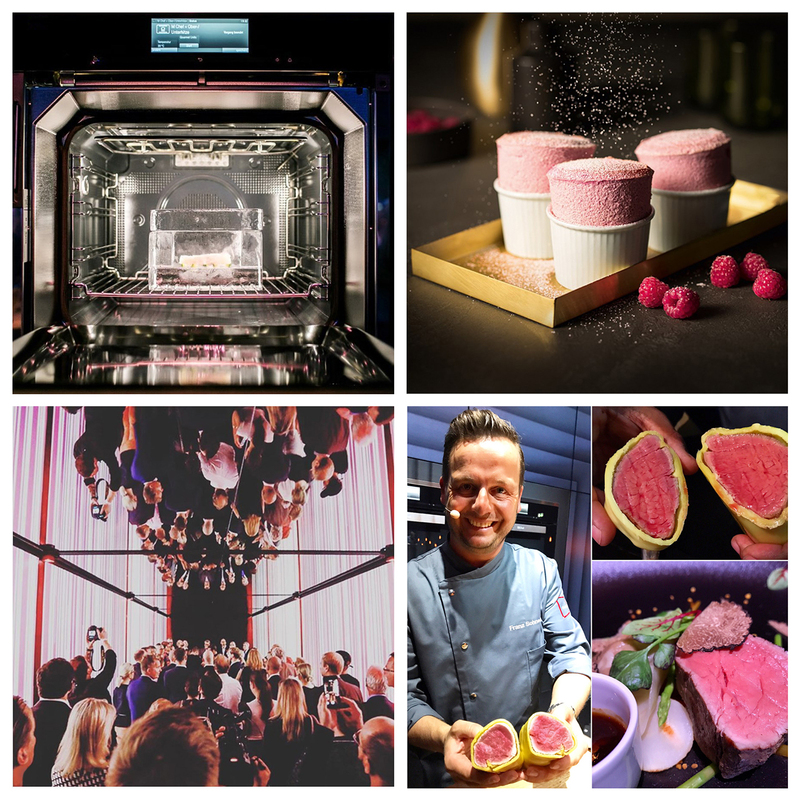 Below are some of the images shared by Miele and spectators at the event, using the fitting hashtag #RevolutionaryExcellence. Clockwise from top left: (1) The revolutionary Dialog oven cooks fish in a block of ice (image by @miele) (2) The Dialog oven prepares a perfect soufflé (image by @miele) (3) Veal prepared to perfection by the Dialog oven (image by @margauxsalcedo) (4) The unveiling of the Dialog oven in Berlin (image by @manuelespejome).